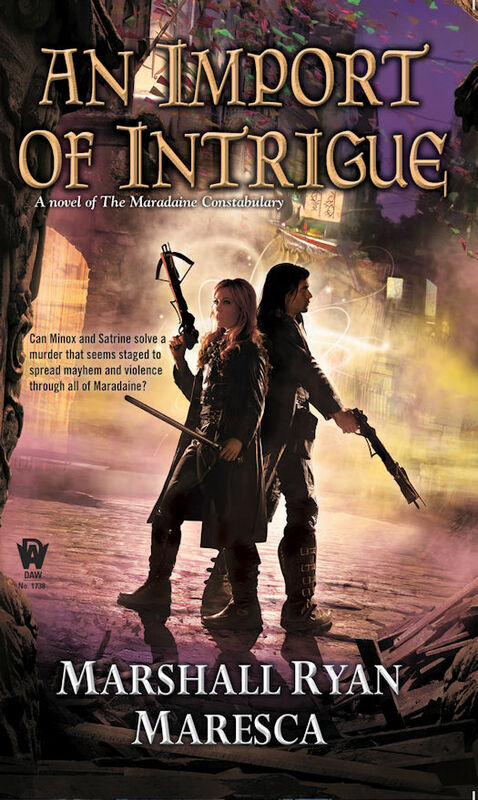 The Qwillery is absolutely thrilled to exclusively reveal the cover for An Import of Intrigue by Marshall Ryan Maresca. An Import of Intrigue is the 2nd novel of the Maradaine Constabulary and will be published on November 1st by DAW. We can't wait! If you haven't been reading the Maradaine and Maradaine Constabulary novels you have time to catch up before November! 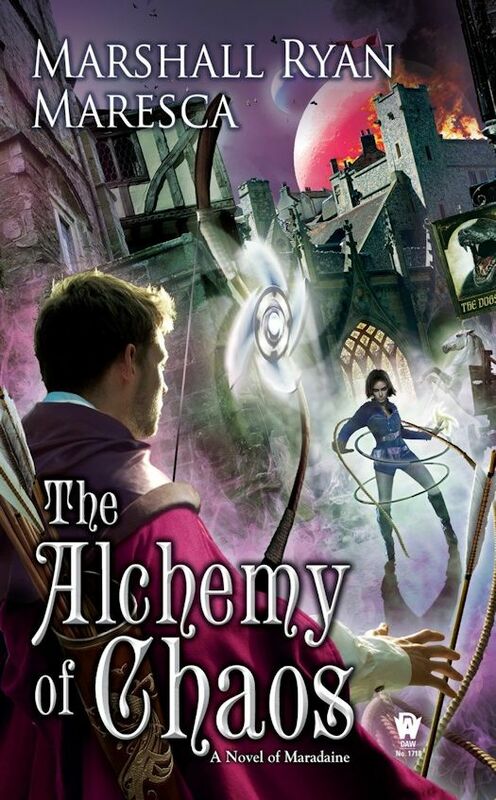 Satrine Rainey, and Uncircled mage Minox Welling. 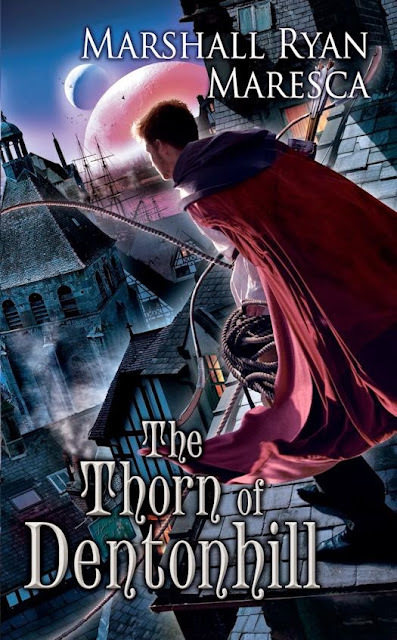 Marshall Ryan Maresca is a fantasy and science-fiction writer, author of the Maradaine novels from DAW Books, starting with his debut novel The Thorn of Dentonhill. 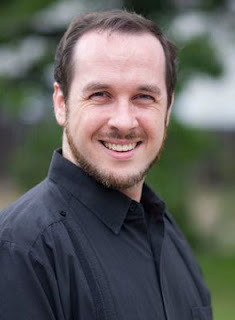 He grew up in upstate New York and studied film and video production at Penn State. He now lives Austin with his wife and son. His work appeared in Norton Anthology of Hint Fiction and Rick Klaw’s anthology Rayguns Over Texas. He also has had several short plays produced and has worked as a stage actor, a theatrical director and an amateur chef. A Murder of Mages marks the debut of Marshall Ryan Maresca’s novels of The Maradaine Constabulary, his second series set amid the bustling streets and crime-ridden districts of the exotic city called Maradaine. 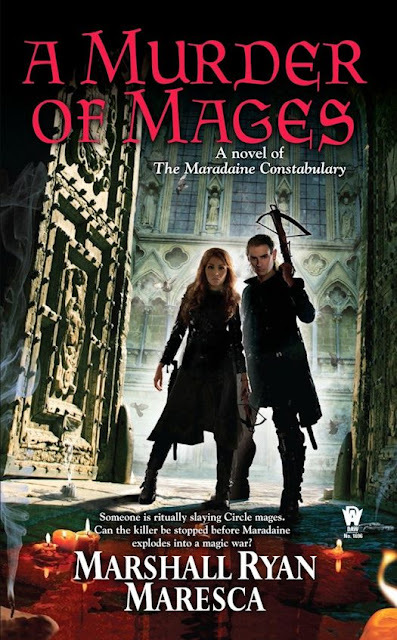 A Murder of Mages introduces us to this spellbinding port city as seen through the eyes of the people who strive to maintain law and order, the hardworking men and women of the Maradaine Constabulary.